Visualisation Exercise: Can You See Yourself Slim? 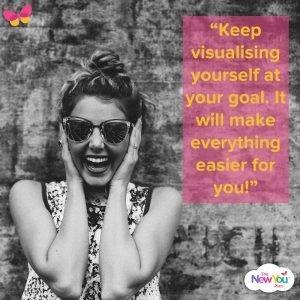 Visualisation is a powerful tool to help you smash your weight loss goals. Follow these two exercises to set yourself up for success. Visualisation is a powerful exercise and used by many of the world’s leading sports people. In the past, David Beckham has talked about how he visualises taking perfect penalties. No doubt, almost all successful people use visualisation to some extent. If you want to achieve something, you first have to see it in your minds eye. So what are you imagining in your mind? Can you see yourself enjoying this summer with a slim healthy toned body? Try this exercise below to imagine getting to your goal. You need to keep visualising yourself living a healthy lifestyle, looking and feeling slim and energetic. This will help you to think and take the actions of the a slim person. The more you see yourself at your goal, the more you will believe you can get there. The door has a sign on it that reads. You enter this door looking as you did on 1st March 2018. Now imagine that you are doing perfectly on your diet, day by day slowly improving your habits. You come to another door. You walk through the April door, and after a successful month on your diet you are looking slightly slimmer. 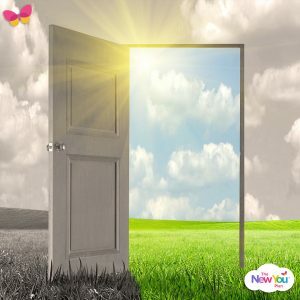 You walk through this door and you are looking much slimmer now, and you are lighter on your feet and smiling. You go through the door called June, and after 3 months on your diet you are totally transformed!! Imagine how you look, what clothes you are wearing, how you hold yourself, and how happy and healthy you look and feel. Continue this exercise until you get to your goal. You will realise how quickly a month can pass by, and how amazing the changes can be. A few months might seem like a long time, but in the grand scheme of things it really is a blink of an eye. The next few months, from now until summer are going to happen. The time is going to pass, but it is up to us to decide what to do with this time. Time is like money, you can spend it or you can invest it. But even if you do spend and waste your money, it doesn’t really matter because you can always get money back, but you can never get time back. Do you want to make the next 3 months of your life a time that is setting yourself up to start living a healthy lifestyle? Do you want to put the worry and frustration that being overweight causes you behind you for once and for all? Invest the next few months of 2018 to set yourself for an amazing summer, and you will be SO GLAD you did. 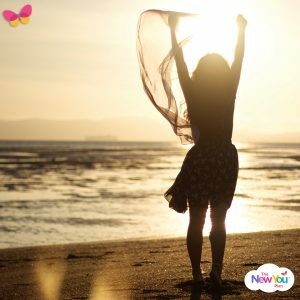 So imagine you are at your goal… how does it feel to go to the beach that day??? Now imagine that you didn’t take action to start your diet, and you weigh the same or even more than you do today. Now think how you are going to feel about going to the beach that day? As human beings we are naturally drawn to seek out pleasure, and going on a diet can seem like the most unpleasant thing you can do. That is why we avoid doing it. You will normally find that if you go for the thing that makes you feel good immediately, that you are setting yourself up for more pain in the future. Going on a diet might not be the most pleasurable experience in the short term, but in the long term the pleasure, happiness, health, confidence, opportunities, and quality of life that you can achieve can be amazing. In fact, going on a diet isn’t even all that bad. 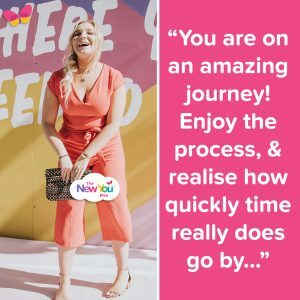 Just visit our Secret Slimmers group and will find that so many people are buzzing with excitement, as they are on an exciting journey of transformation! What journey are you on now? Can you visualise where your actions are going to take you this summer? So next time you are bored, on a bus or train or sitting in a waiting room, keep visualising yourself at your goal. It will make everything easier for you! And the next time you can’t sleep, forget about counting sheep, and start walking towards your goal!